Irish and Finnish Poker Players get Ready for Battle! Paddy Power Poker is warning Irish poker players to prepare themselves for a planned invasion of aggressive Finns! Ireland's largest poker room, together with Poker Magazine Finland and Poker–lehti, has organized an epic battle between Irish and Finnish poker players to take place at a live poker tournament in Dublin this May. The tournament promises to be a real crowd pleaser as the famously aggressive Finnish players clash with local Irishmen, who are known across the world for their willingness to gamble at the poker table. The two competing countries will be represented by teams of 30 online qualifiers, with each team being captained by a poker professional from their respective country. "Finnvasion" is open to Irish and Finnish players only and those who wish to compete must qualify at Paddy Power Poker. The exciting live final will be held in Dublin on the 17th May 2008 and there will be a tempting prize pool of approximately $18k. If this sounds like your cup of tea, there are online satellites every Sunday at 8pm starting on the 13th January 2008. These are $15 rebuys with a $320 buy-in to the live "Finnvasion" final for the winner. The Paddy Poker Poker Communications Manager can't wait for the battle to commence. He said "The Irish lads are already polishing their helmets in anticipation of Finnvasion. We don't have a great record of dispelling invaders from these shores, but Team Paddy will be ready for the Finns this time and, while we will be welcoming them with one hand, we will be trying to crack their aces with the other!" Finland is famous for producing world class poker players such as Patric Antonius and Juha Helpi and the next Finnish star may well emerge from the online qualifiers for this tournament. 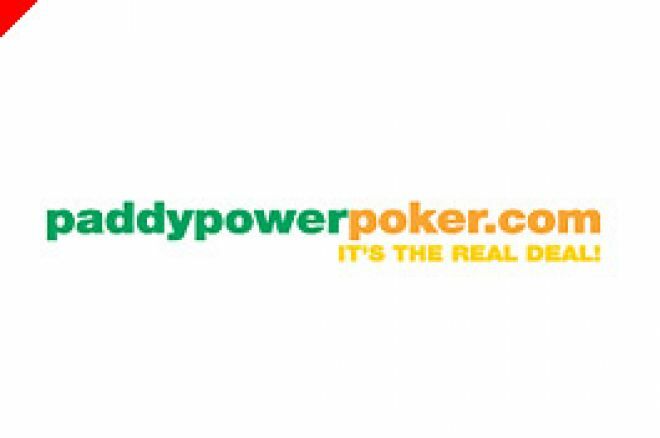 Ireland, too, has produced no shortage of poker greats with the likes of Noel Furlong, Andy Black, Padraig Parkinson and Ciaran O'Leary all calling the Emerald Isle home. It should be a battle royal!